The perfect breakfast or after school snack, these Whole30 broccoli cheese muffins are going to your go-to recipe! 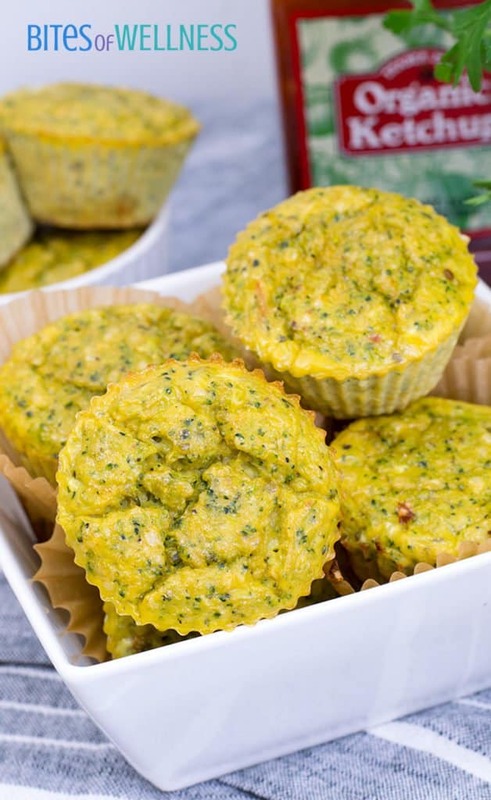 Paleo, grain free, dairy free, and packed with protein, these broccoli cheese muffins are packed with flavor and nutrition! Sometimes I crave steamed broccoli covered in cheese or a big bowl of macaroni and cheese with a side of broccoli like when were kids! But one of the things I learned over the past 6 months was that my body does so much better without dairy. So I have cut out the cheese, the yogurt and started playing around more with nutritional yeast as a cheese substitute. Instead of focusing on the things I can’t have, I try to focus on all the foods I can still have. This has been a lesson I’ve worked really hard to help Dave with as well. I really like this mindset but have to admit, that learning to cook with new ingredients comes with it’s own set of headaches and heartaches! 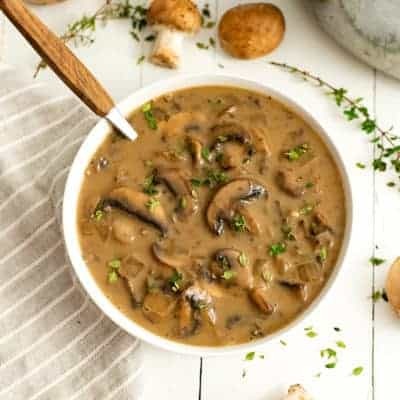 Luckily, there are so many healthy eating blogs that focus on so many different cuisines that it’s never hard to find a good recipe hack for anything! 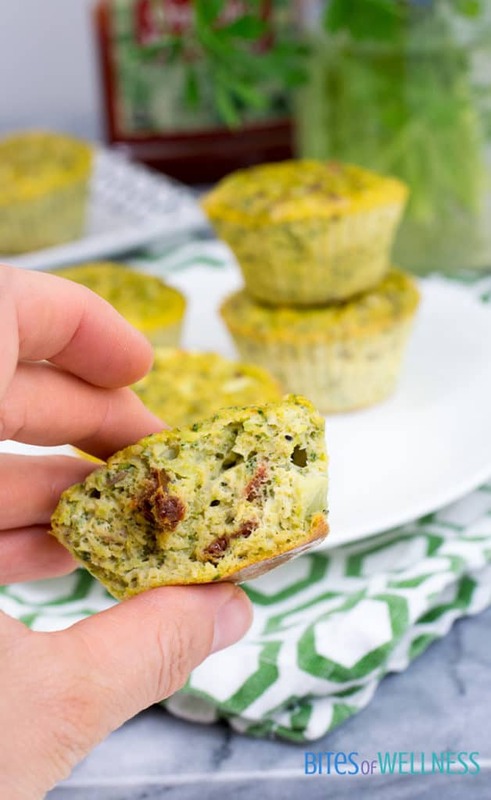 To make this dairy free, whole 30 broccoli cheese muffins packed with flavor, I added sundried tomatoes, the oil the sundried tomatoes are packed in as well as garlic powder. 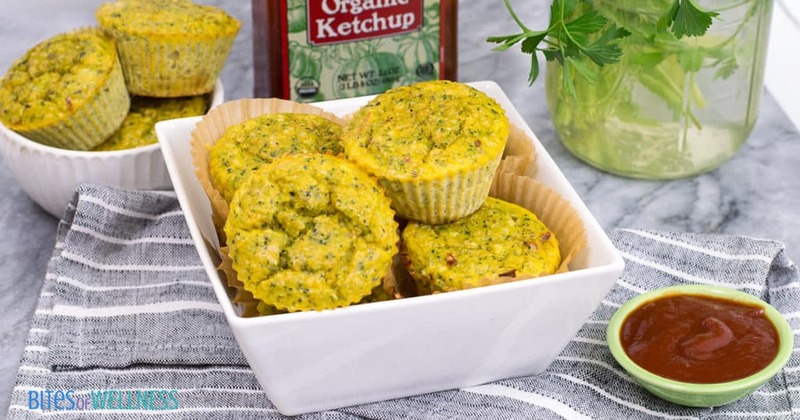 These yummy muffins are the perfect on the go breakfast or after school snack, since they are good hot, cold or room temperature! Oh and they simply must be dipped in ketchup. Yup I’m a ketchup and egg lover, what about you? Add the broccoli florets and stem to the food processor (break into small chunks) and pulse until it has a riced consistency. Add to a glass bowl and microwave 5 minutes. While the broccoli is cooling, combine the egg whites, the eggs and the olive oil from the sundried tomatoes. Add the salt, garlic powder, hemp hearts, nutritional yeast and sundried tomatoes to the broccoli. Stir the eggs into the broccoli mixture and combine. 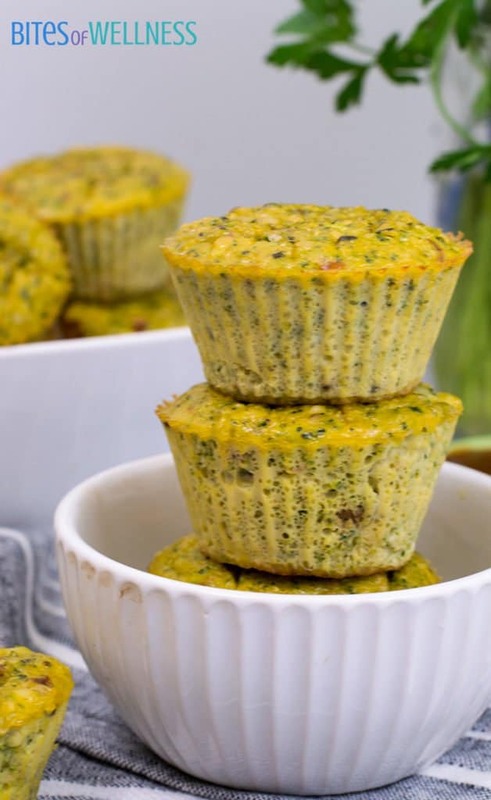 Add silicone liners or parchment paper liners to a muffin tin and using the 1/4 cup measuring cup, divide the egg and broccoli mixture between 15 muffin cups. Bake at 375 for 26 minutes. Remove from oven and allow to cool slightly. Eat hot, or allow to come to room temperature and store in the fridge for up to 4 days. 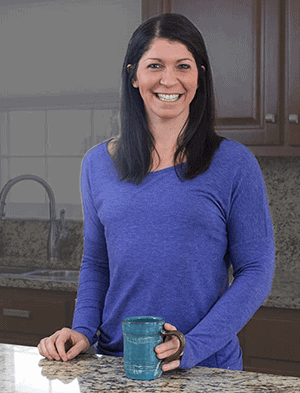 Previous Post: « Paleo vs Whole30: Which one is right for you? Nutritional yeast is something I’ll have to try soon. 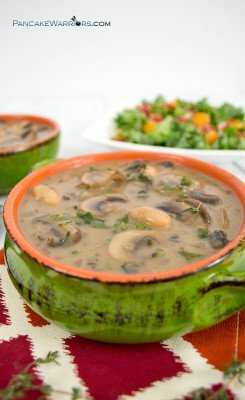 You’re totally right about cooking without some of the ingredients that we’re used to, it can definitely be difficult to figure out how to use some of the unfamiliar substitutes. Thanks for sharing this! These look great—I’d love these for breakfast! 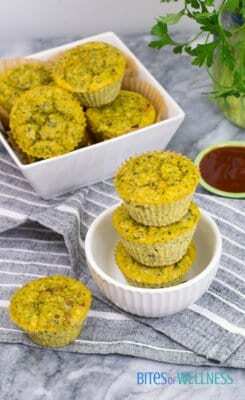 I love the texture you achieved with these muffins. I definitely would love these for breakfast!